While we wont be there in person, you are sure to see a few on the playa. 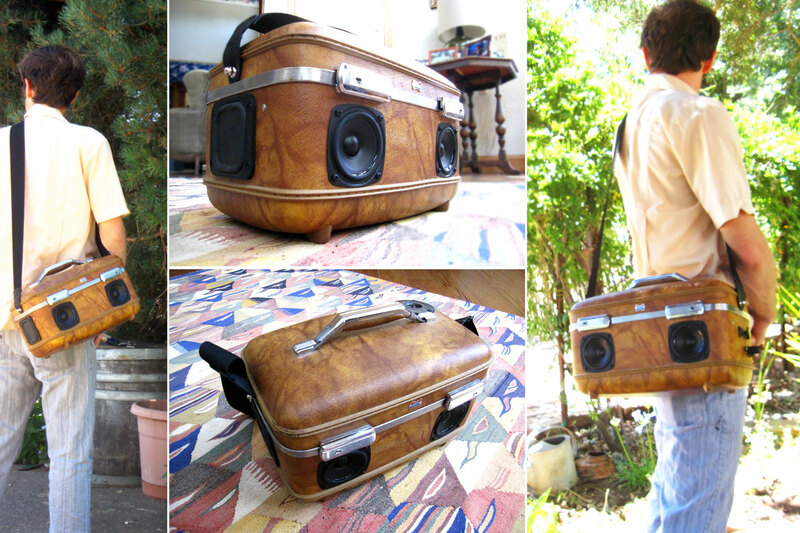 Including this beauty: Besides Burning Man – We are now installing detachable straps on larger BoomCases for hands free BoomCase’in. 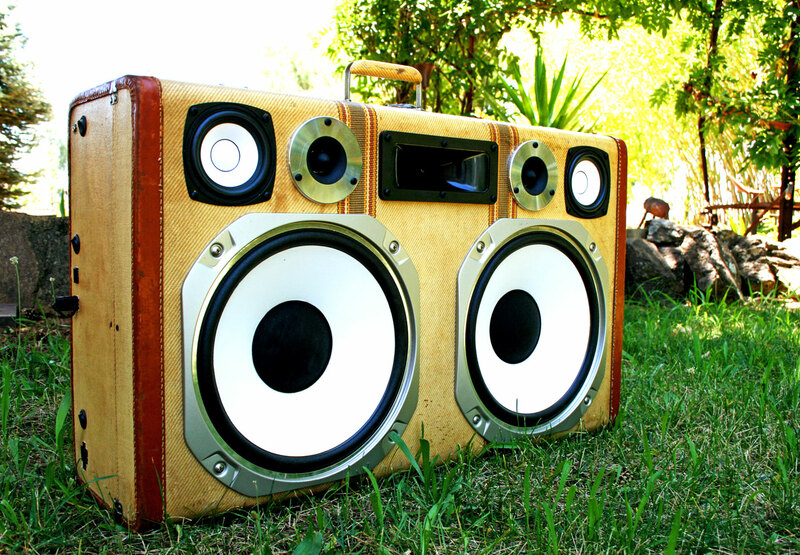 New BoomCases To Keep Your Summer Golden. 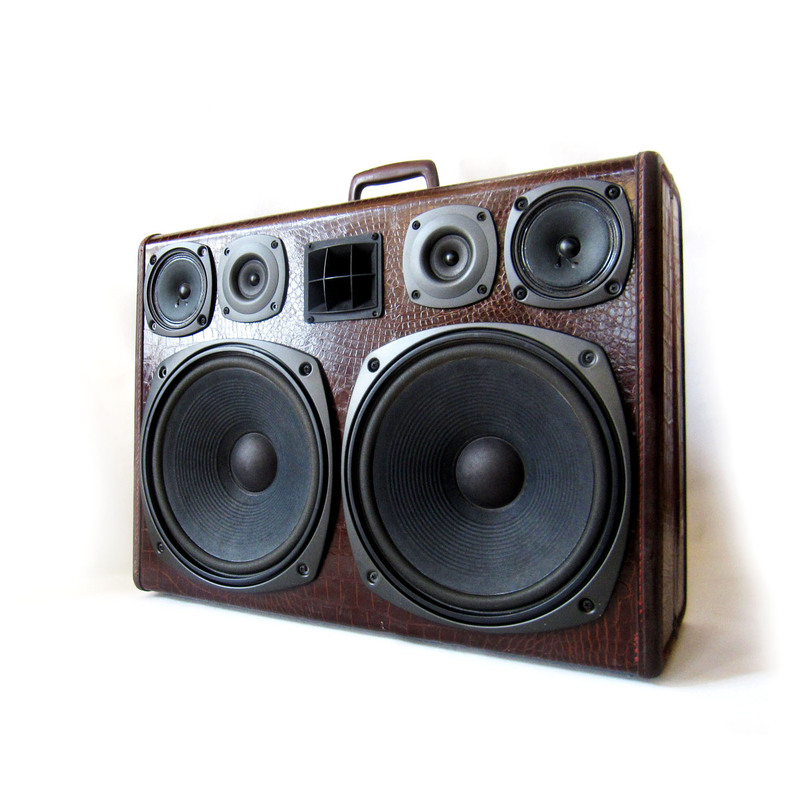 Two New Unique BoomCases Available + Two More Tomorrow + A Factory Tour. 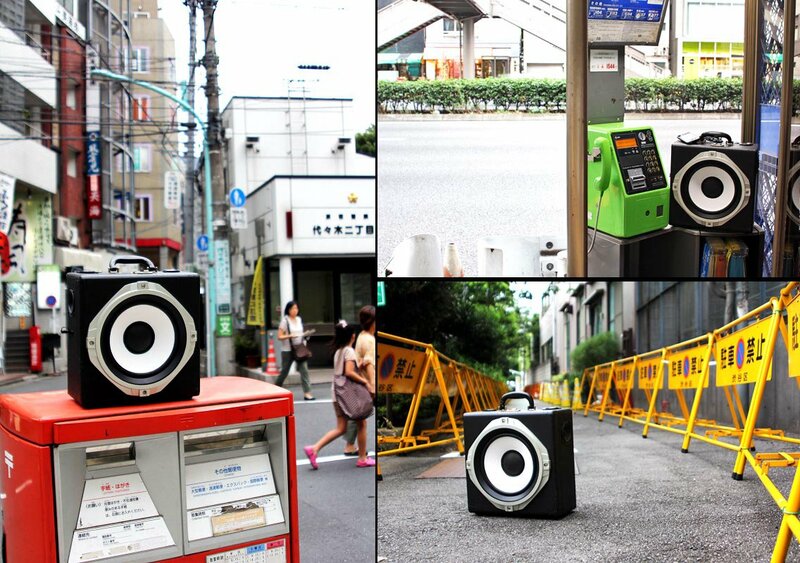 + Check out new “Booming Friends” including these great pics from Tokyo, Japan. 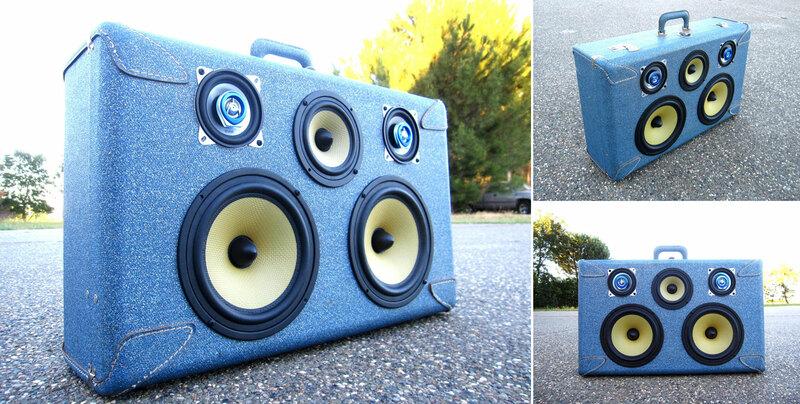 Cool Blue American Tourister BoomCase + Our First Vintage Hartmann BoomCase. 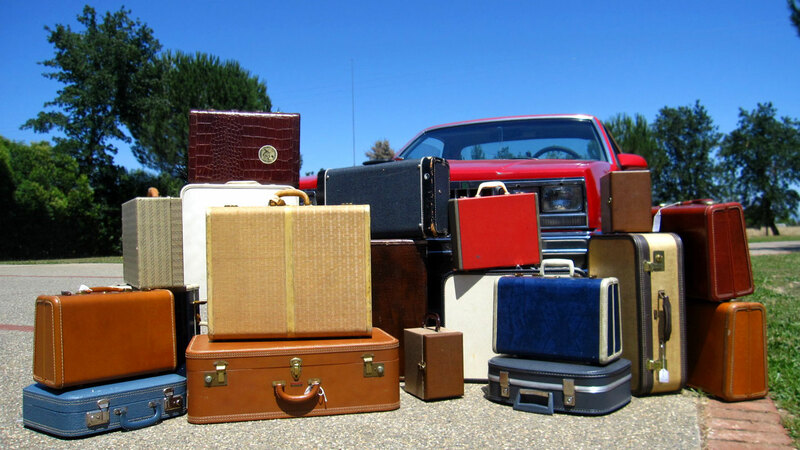 Hartmann Luggage is highly collectible with vintage pieces costing upwards of $300. Freshly Squeezed – The Squawk Box & Business Class. Click Here to Shop. 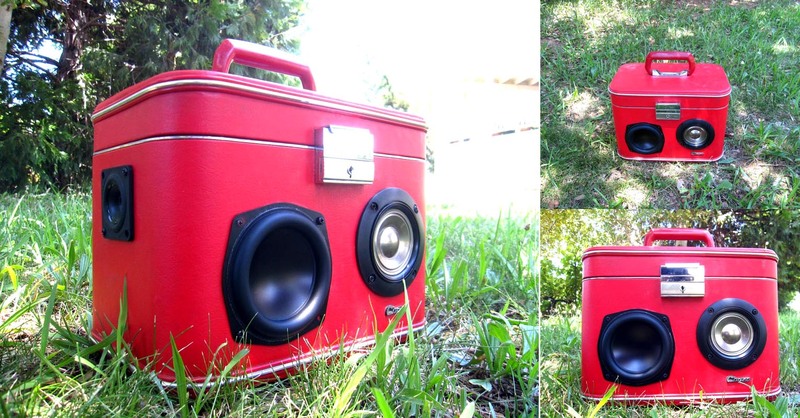 Lunch Boom with 6 LED Volume Meter + LED in “Nintendo” Logo + External Thermos Speaker + Ability to power Speakers (up to 40 watts) using same hookup as Thermos. 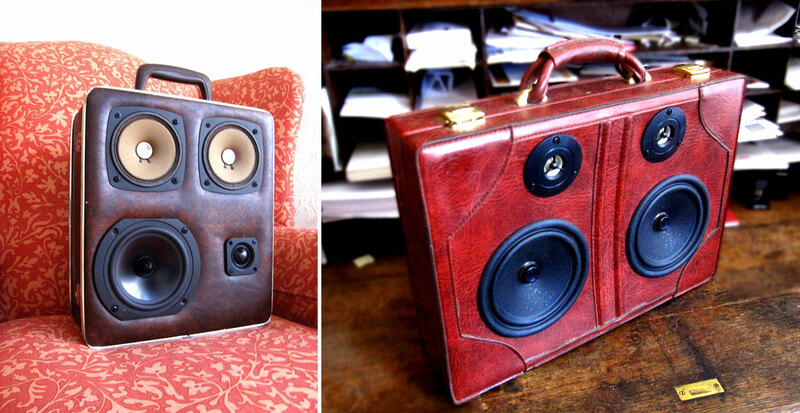 Want to make carrying around your BoomCase a tad easier? 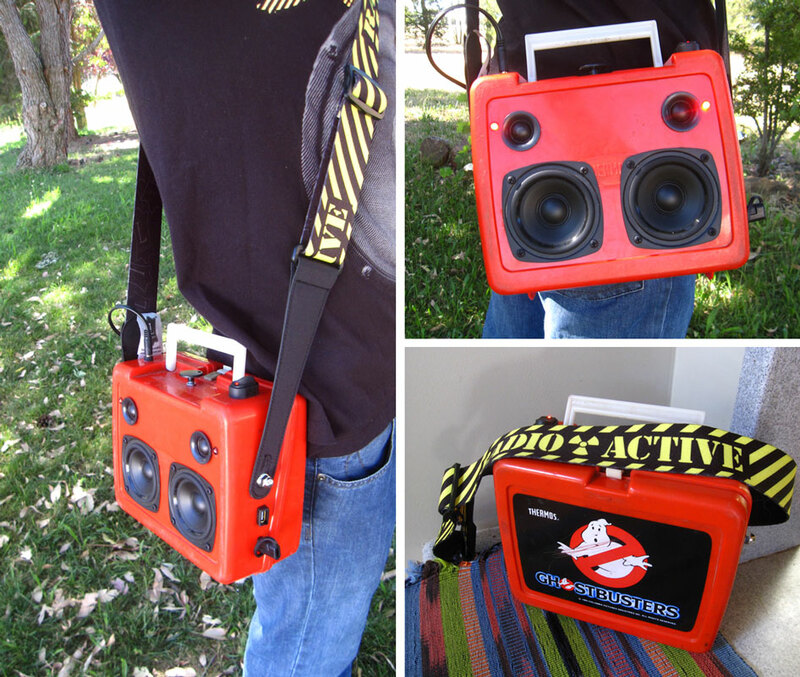 Add a Guitar Strap! 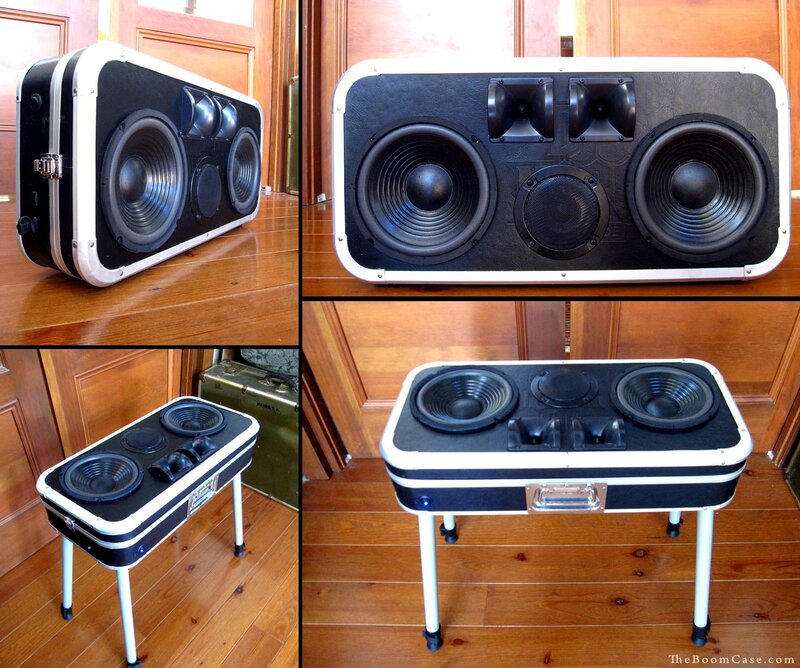 Now available on custom orders and select BoomCases. To Celebrate the 4th and Our Upcoming Collaboration with AMBSN we give you -“Mr. Independence”. 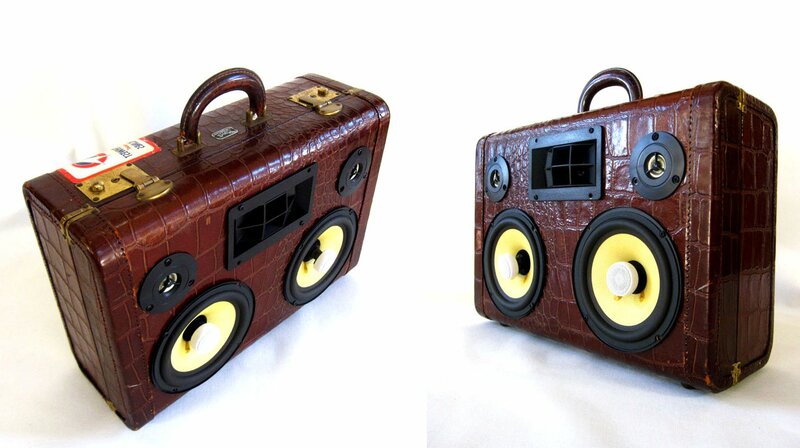 Look For More One of Kind AMBSN BoomCases Soon! 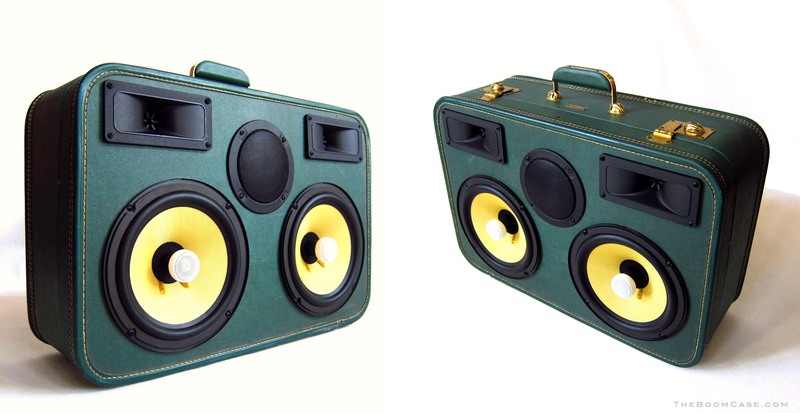 Two New Styling BoomCases Now Available. 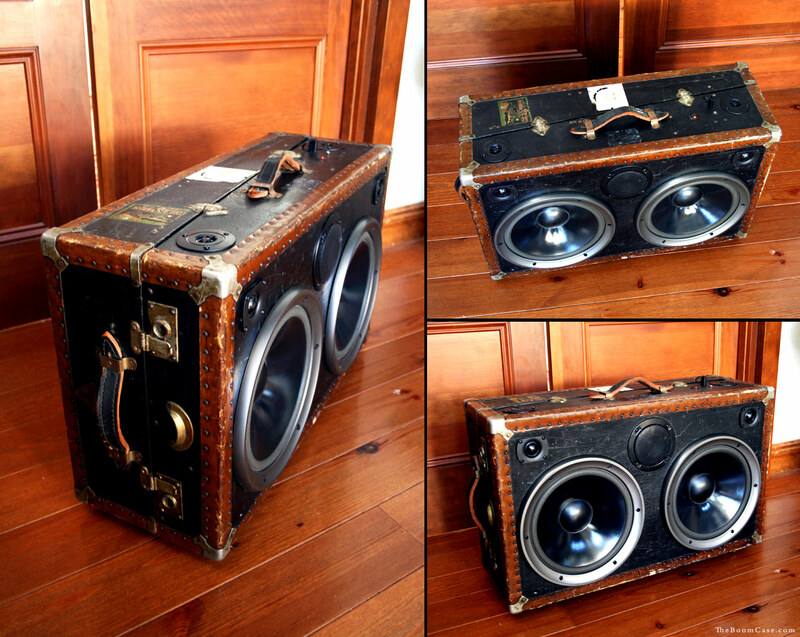 Picked A Bunch of Fine Suitcases over the Weekend so Be Prepared for some Fresh New Tasty Releases! Check ’em out in Our Online Store later this week. 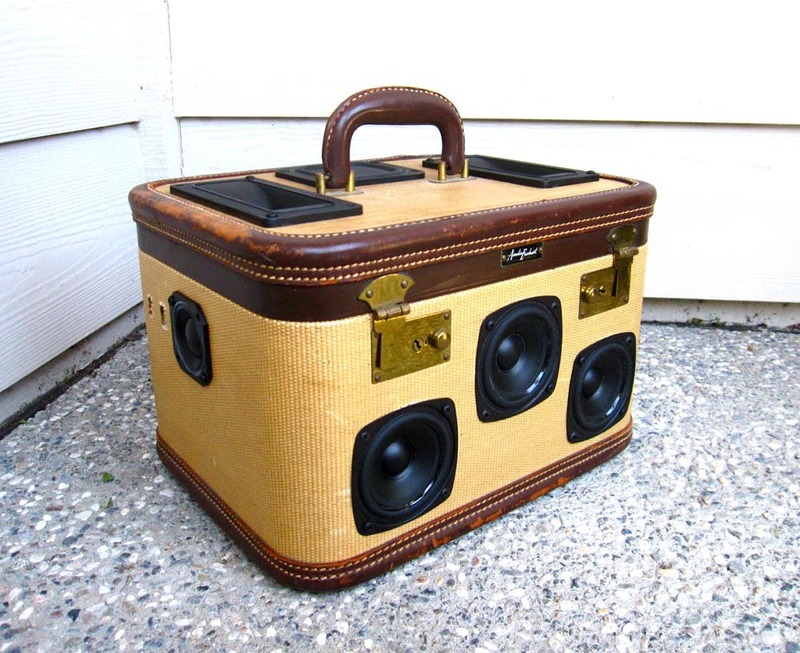 Wonderful Portable Size Makes “Sammy Junior” a Major Hit for your Booming Summer Adventures. Available now. 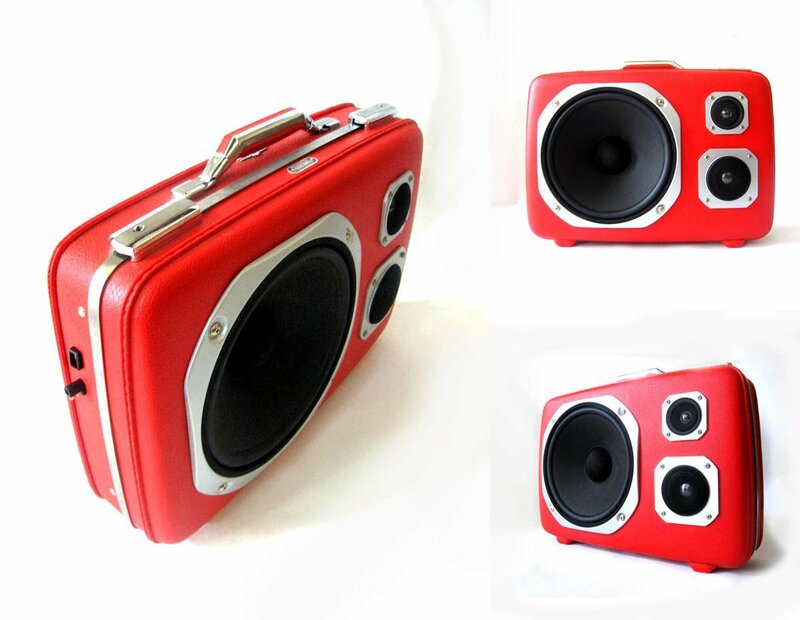 Click on photo below to see all available BoomCases. 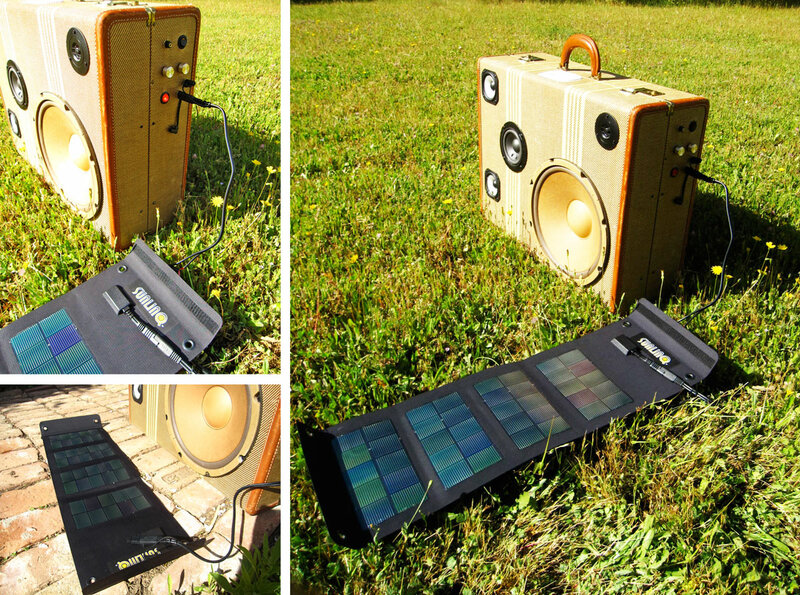 Love the Planet more and go GREEN by harvesting the power of the sun to charge up your BoomCase. 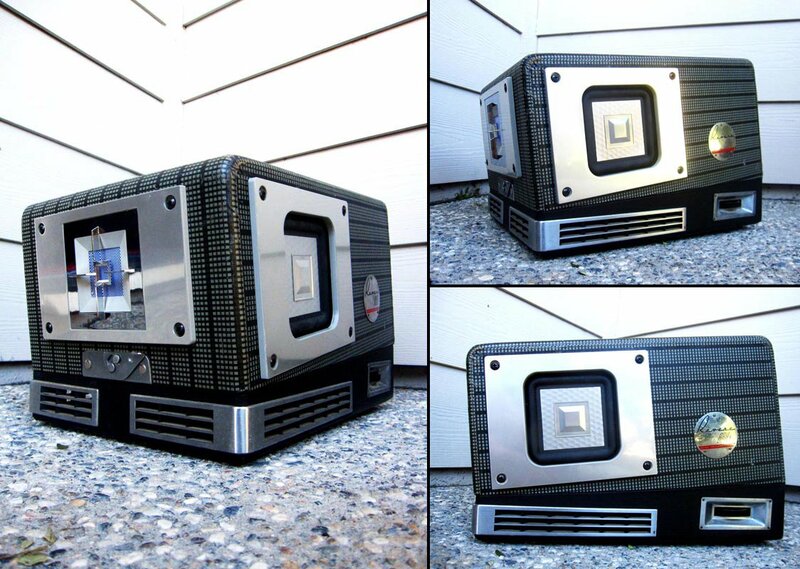 New OPTION: Solar Charger – All BoomCases can be recharged via solar power. Charger shown is foldable for easy transportation. Rigid version also available. 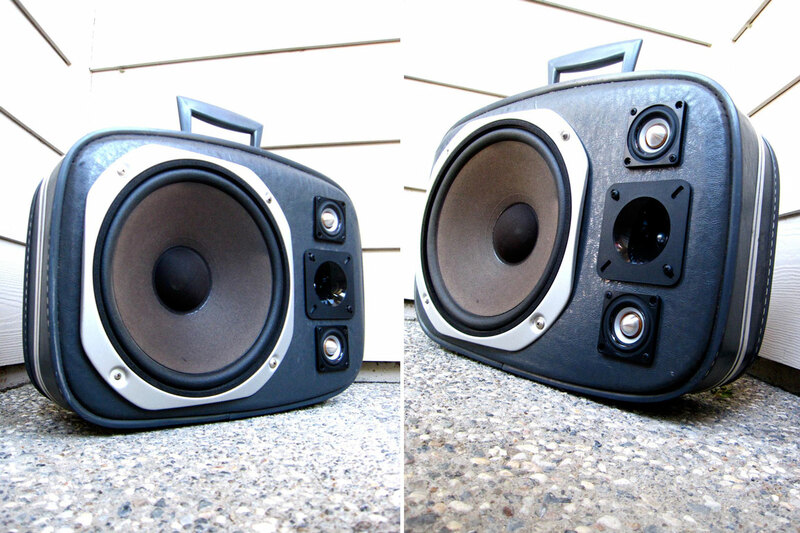 Two New BoomCases Available for Summer fun. 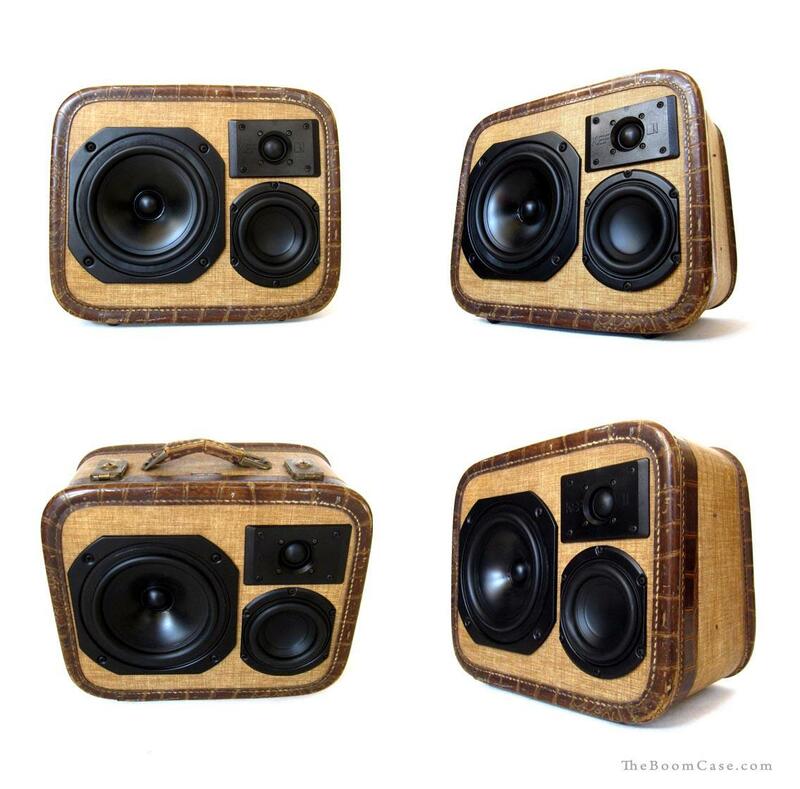 Click To Shop New BoomCases.